This method is extremely easy and affordable. All you have to do is to take out all the cards you have received this year and the previous ones, tear them into halves and put aside those parts where the message is written. 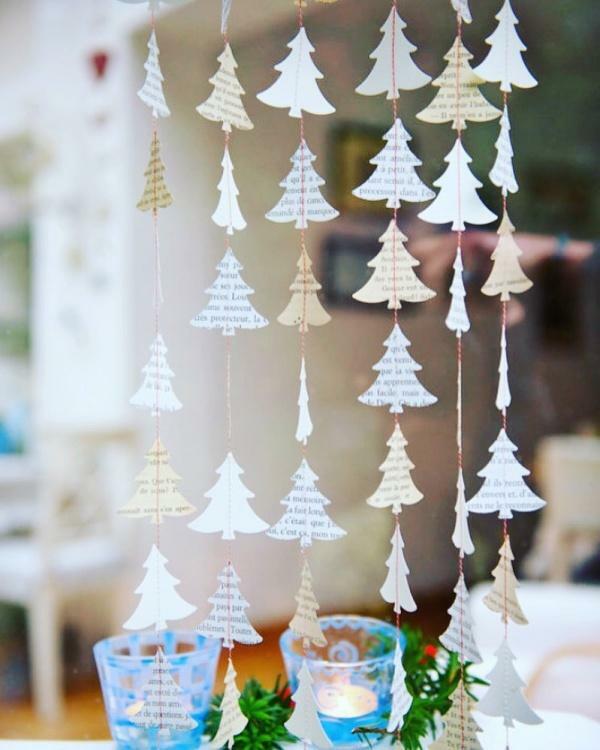 Cut the pictures of cards in forms of leaves (or whatever you fancy) and arrange them on a large surface. It may be a wall, glass door or something.